Bianka was born en El Sauce, Leon. However, she lived in La Primavera throughout her primary and secondary school education. Bianka, who has been sponsored through the Women in Action sponsorship program since she began school, is now living in El Sauce and studying in her third year of Nursing at the National Autonomous University of Leon. Bianka participated in the 2010 and 2013 Daughters of Corn Dance Tours. Francis is 20 years old and lives in the La Primavera Neighborhood of Managua. Her family has hosted many service trip volunteers in their home over the years. She participated in the 2010 Daughters of Corn Dance Tour. She has been supported through the sponsorship program since she began preschool. In December 2016, she finished a degree in International Relations at the University of Valle. Katerine is 13 years old and lives in the Women in Action settlement of La Primavera. Her mother, Edda has been a member of Women in Action for many years. Katerine often times performs dances at the Women in Action center for visiting service trip groups. She enjoys music, dancing and helping her mom with household chores. Teresa is 20 years old and is from La Paz, Carazo. 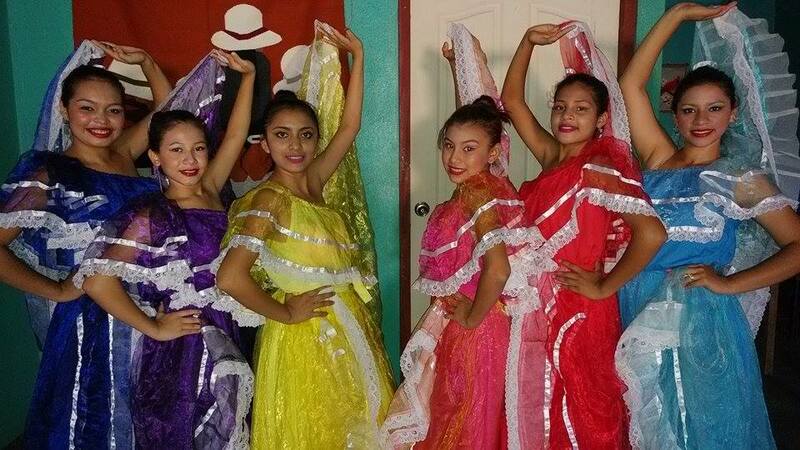 She will be the first youth from our project in La Paz to participate in the Daughters of Corn Dance Tour. In December 2016, she completed a Nursing degree. Teresa enjoys playing volleyball, dancing, and spending time with friends. Litzy is 16 years old and lives in La Primavera. She will be entering her first year of college in February 2017. Litzy enjoys listening to music, dancing and spending time with her family. Nicole is 14 years old and lives in La Primavera. Her family has hosted service trip volunteers many times in thier home. Nicole, who is going into 9th grade of secondary school, enjoys dancing and spending time with her friends and family. Daniela is 13 years old and lives in La Primavera. She is going into 8th grade of secondary school. She enjoys playing soccer, dancing, and listening to music.